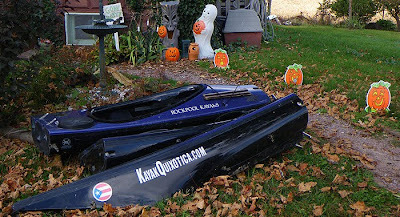 This inspiring seasonal photo is from Derrick's well-read website--he has plenty of photos and more on-water experience than anyone on sectional kayaks. His kayak has clips. Something to think about as a contrast to nuts and bolts. Check out his website and contact him online for any sectional kayak questions.